As an HR consultant, I get to interact with a lot of different people on a daily basis. This number multiplies during the workshops and seminars that we conduct. Everyone has different perspectives and ideas about leadership and often the way a manager conducts himself/herself is quite different from what employees perceive. During my informal interactions with employees across companies, they discuss how sometimes their managers behave indifferent or snobbish (if I may say that). They joke that their managers probably have a secret Morse code which the employees are unable to decipher. Even after the working hours are over, some employees are ‘reluctant’ to come across (or bump into) their boss or receive a call from them. But are all managers really this mean and autocratic as they are perceived to be? In my one-to-one interactions with the managers, many of them come forth as welcoming and great individuals. Most of the times, they are more concerned about the employees than the employee themselves. But due to some unknown reason, they are unable to communicate their concern and empathy. Their efforts to break the ice between them and their employees often turn futile. Their employees tend to not understand them even when they are being informal and friendly even during office hours, let alone after work interactions. Looking at several such incidents over the last decade I have realised that most of the organisations do face such situations of hostility or uncomfortable distance between the employees and the managers. If the situation sounds similar to you or to the managers in your company, here’s a crucial element of leadership that you might be overseeing. As a team leader, you emulate a lot more through your body language than you do with your words. You may prepare your presentation, conduct meetings and decide how you will motivate your team in a certain way. But what about the non-verbal cues that you subconciously communicate? This is an often neglected or least-focussed trait that influences your employees the most. In a majority of cases, it tends to overpower what you say with your words too. So here’s a quick guide to help you understand the unspoken language that you can embody. The best icebreaker in all everyday situations is to make an eye contact with the other person and greet them with a smile. This brings you across as a friendly and approachable person. Every morning when you enter your office, greet people with a smile. And while you are at it, do so by maintaining an eye contact with each one you make contact with. It would probably take 4-5minutes extra for you to do so but what you would start is a positive chain of thought in your team members mind that their manager actually greeted them personally with a look and a smile. The positive thought and motivation by this one small gesture can go a long way in keeping them enthused and excited to work with you. If the place permits, make it a point to shake hands with all present around you. This is especially when you call for a meeting or a briefing. A firm handshake from you would assure your team members that you value their presence. A handshake after a meeting assures your team members that you appreciate their contribution to the meeting. This also becomes the easiest and quickest way to build rapport with them. Next time you pass by a group of people, try it. Maintain this with not just the senior executives but also those at the junior level. The act also allows them to build comfort and develop loyalty from your team towards you and your company. What is also important is to understand the body language of your subordinate. If they are hesitant to give a hand or not firm in their handshake, chances are they may not be comfortable shaking hands. In such cases, stop and greet the person without offering a handshake. It will have the same impact as a firm handshake and ensure that you are not crossing the invisible line with any team member. Your posture often matters more than the hierarchy in making a point or motivating the team to act. This has been proved by various studies worldwide including that of Kellogg School of Management at Northwestern University. The way you hold yourself often describes your personality to your employees. For example: if you keep your arms crossed when an employee is presenting something to you, they might feel that you are probably not interested or judging them. Instead, if you lean forward during a conversation, you might come forward as you’re engaged and interested. Sitting directly facing the person often makes them feel they have your complete attention. As a team leader, if you say one thing and your gesture indicates something else, you will end up confusing your team more rather than inspiring them. For example: if you ask for an open feedback from your team but are sitting with your arms folded as you listen to them, they might feel gathering feedback is just a formality. Hence, always support your verbal communication with supportive actions would be a good practice. Since the communication by the body is more visually appealing, it catches the eye and chances of your team missing on your verbal message thus becomes higher. Make sure your body language reflects the action & emotion you wish to convey. The easiest way to do that is to train yourself to focus on your intent and emotion that you wish to convey. For example: if you want to ensure the person feels heard, put aside your phone or laptop and focus on the words that are being spoken. Your body language will automatically reflect your intent. A major concern I often get from the various managers and leaders I train is that they don’t know what they have to do with their hands in a particular situation. If you are a passionate and emotive speaker, your hands tend to emote with you. But if you are on the other side of the spectrum, chances are that you might be equally confused. The ideal way of using hands is when you use a variety of gestures that are synonymous to the points you make. The movement of your hands and arms should be emphasising the points you make. This not just puts you in a favourable light but also portrays you as energetic, warm and agreeable. On the contrary, a person who stands still during the entire course of the talk is often considered boring or rigid or cold. Hence, striking the right balance between the two is essential. Be sure not to get into over gesturing as it could make you look erratic or nervous and thus unbelievable to your employees. Since ancient times, hidden hands have been a symbol of distrust or potential danger. If your audience or team is not able to see your hands while you speak, they may assume that you are concealing something from them. The ancient danger of hands not in sight has been psychologically ingrained in our systems in a way that even today it makes the other person uncomfortable. Hence you need to be extremely self-aware of your hands even when you are immersed in a conversation. Pointing fingers has been a sign of drawing attention to something or someone. This, however, has often been used more in a negative context than positive. It has been used extensively in schools as part of childhood fun and bullying or a way of expressing parental scolding to the child. Hence, as a team leader, when you choose to point fingers, you walk a tightrope of dictionary definition on one side and its cultural and societal connotation on the other. Therefore, be extremely cautious of the context and content that accompanies this gesture. Be it life or business, first impressions are the most crucial. Employees tend to judge you as ‘arrogant’, ‘friendly’, ‘trustworthy’, ‘suspicious’ and much more when you first meet them. And this stays with them for a long time. You can’t really stop someone from making decisions but you can always have an influence on what they think of you. 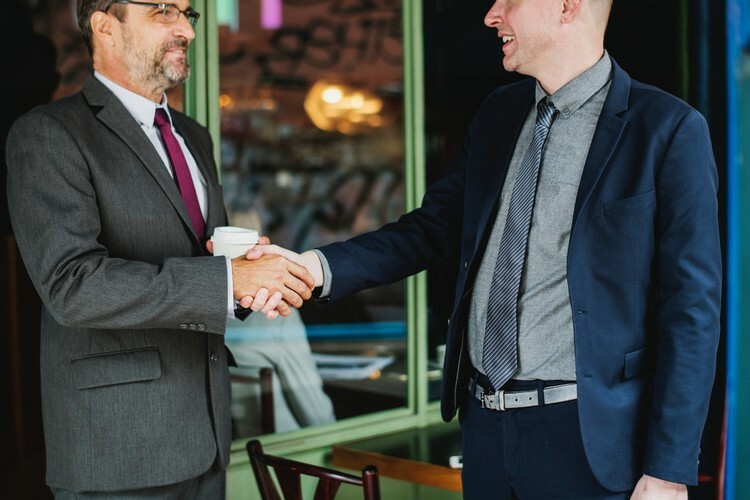 Every time you meet a team member, a new candidate, client, potential customer or just a visitor come to meet you, focus on consciously creating your first impression in a lasting way. Body language is a style statement. It emulates the person’s brand and even speaks volumes about the employer branding. The way a team leader walks, sits stands and uses hand gestures displays confidence and competence of the person. I can’t emphasise enough the importance of understanding and communicating these in the right way to your employees. A positive and inspiring body language of the leader can have the potential to drive positive responses, bond empathetically with any audience, radiate warmth and comfort to all present and also add credibility and authenticity to you as the speaker. At Yellow Spark, we champion the cause of effective communication through body language for leaders. We understand the awe and respect every employee looks up to you with and thus can help you maintain and improvise that in yourself and your executive team in an organised manner. You can write to us at contact@yellowspark.in to know more.